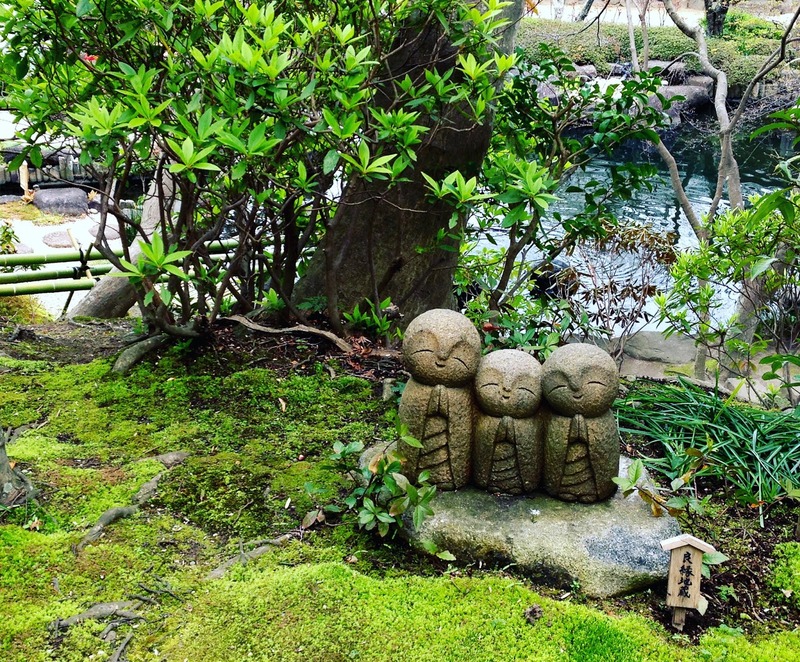 Today we left Tokyo and headed over to Kamakura. 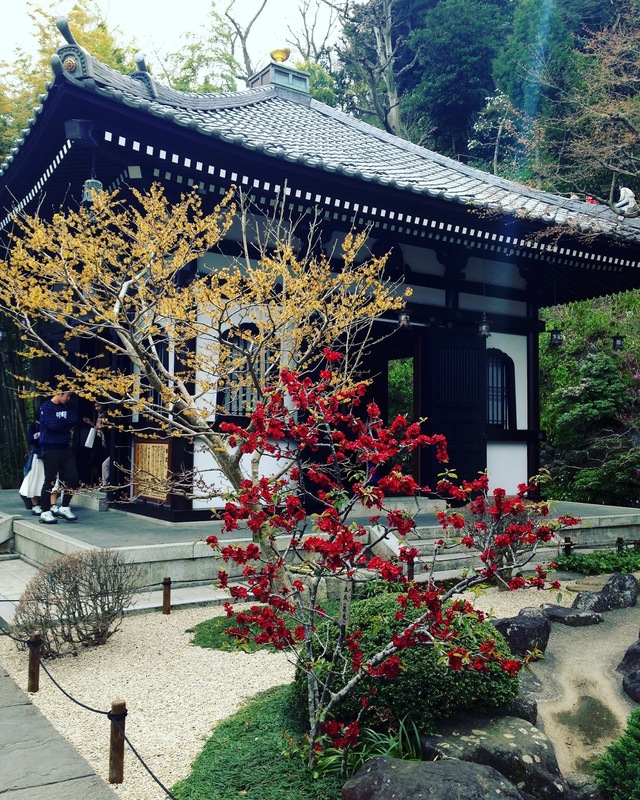 Kamakura is a beautiful city by the seaside, which is easily reached by JR lines from Tokyo in about 50 minutes. We stopped at the Kita- Kamakura stop, just before the main station. 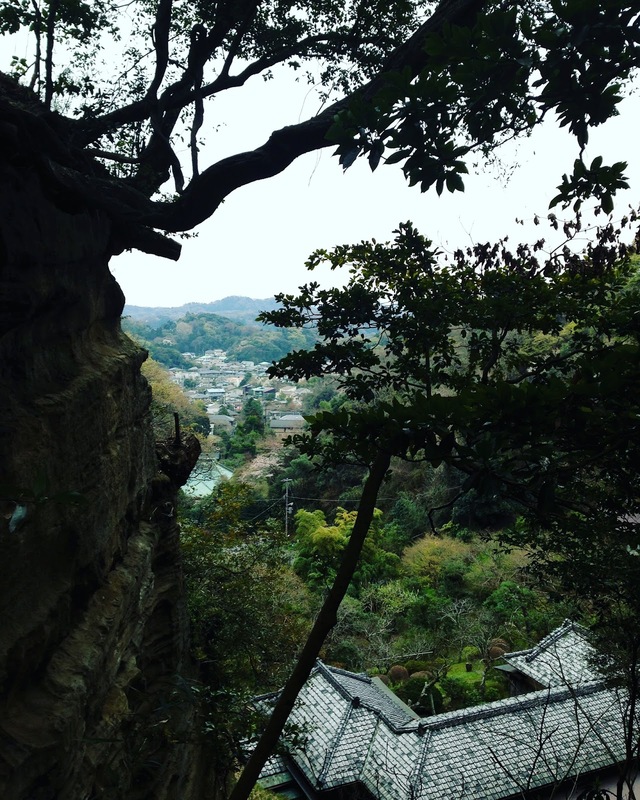 Our purpose for this was we wished to do the Daibutsu hiking trail. From the station we went to the Jochiji temple, where the trail started. 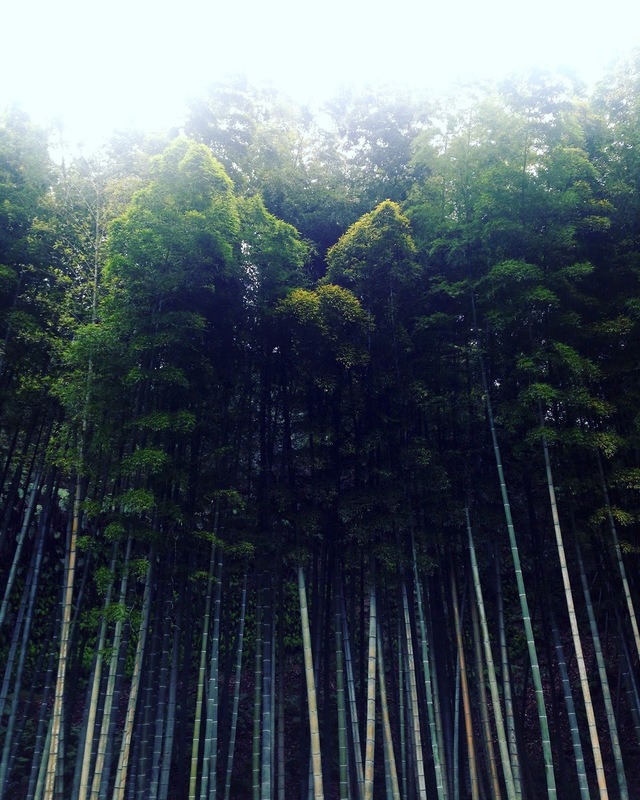 We didn’t enter the temple but took some photos in the beautiful bamboo forest that sits outside. 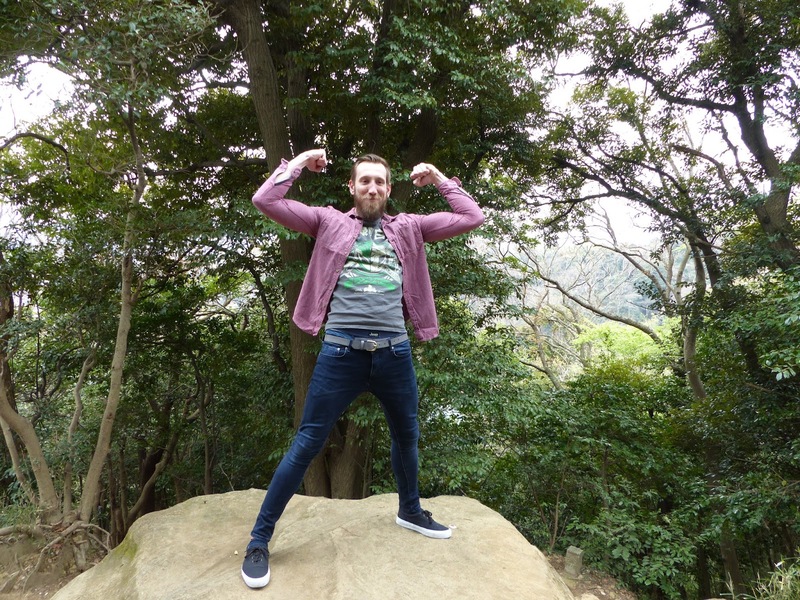 The Daibutsu trail was about 6km through a gorgeous forest and we had such a lovely day for it. The sun was shining and the birds were tweeting. We didn’t come across many people on our path but those who crossed us greeted us with a friendly ‘Konichiwa’. The hike was very easy, you need to be able bodied but there was nothing steep or challenging and the roots of the trees had made for a fun hike. We took our time, stopping many times to take photos and admire views. 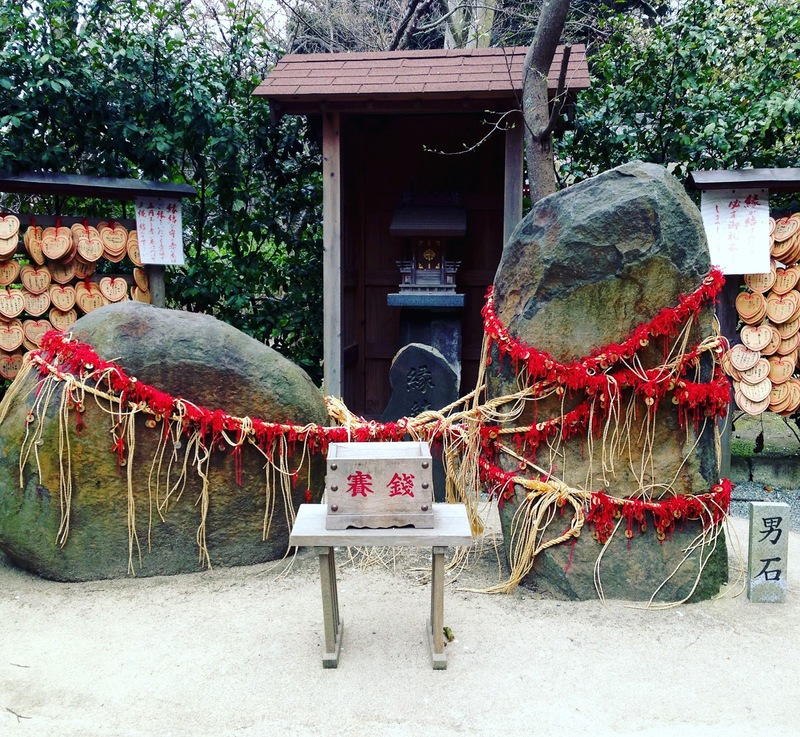 After a while we came to a little temple, which I later found out was called Kuzuharaoka. It was just so pretty. 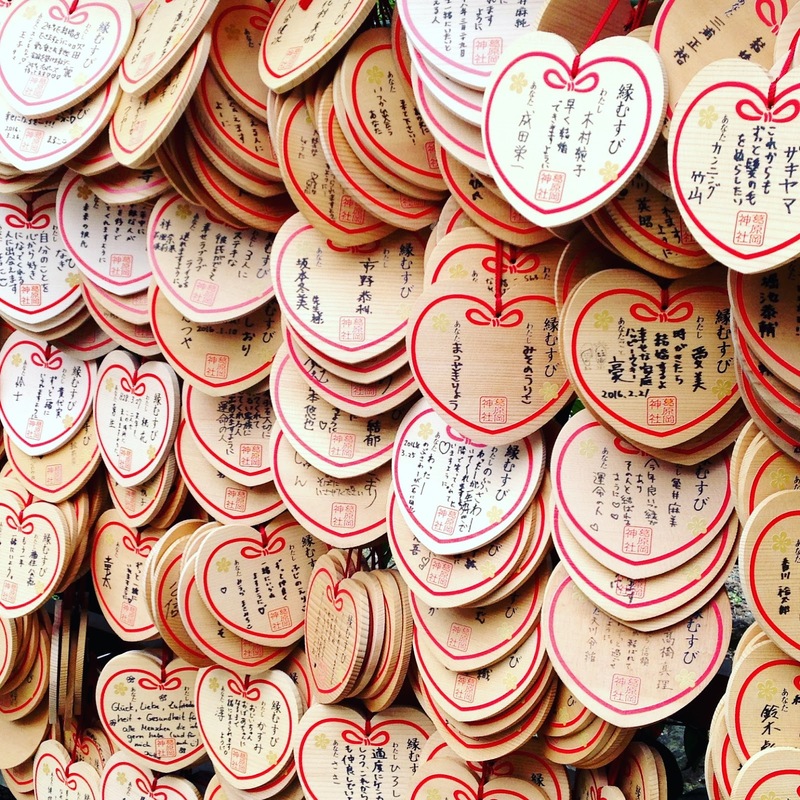 In Japan they sell fortunes at various temples and if they’re bad you leave them behind. The fortunes were in the shape of hearts so I decided to pick one up. They were totally in Japanese but a sweet old man at the temple read it for me and gave me the thumbs up so I kept hold of it. 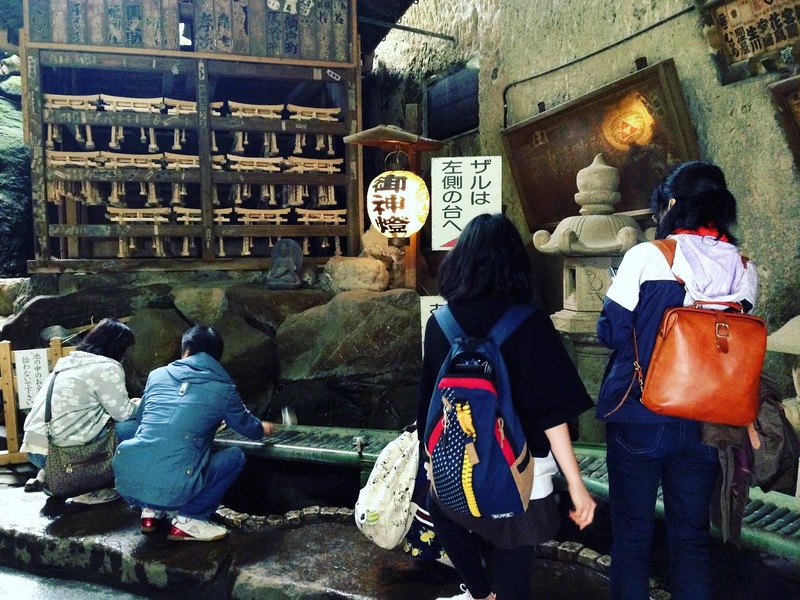 We walked for a little longer and came across the Zeniarai Benton shrine, which is known for being a place where you wash your money with the hope that it will return back to you doubled. I was surprised to see that people were washing notes too, I thought it would be just coins but I suppose you’re never gonna hit the big bucks with coins! 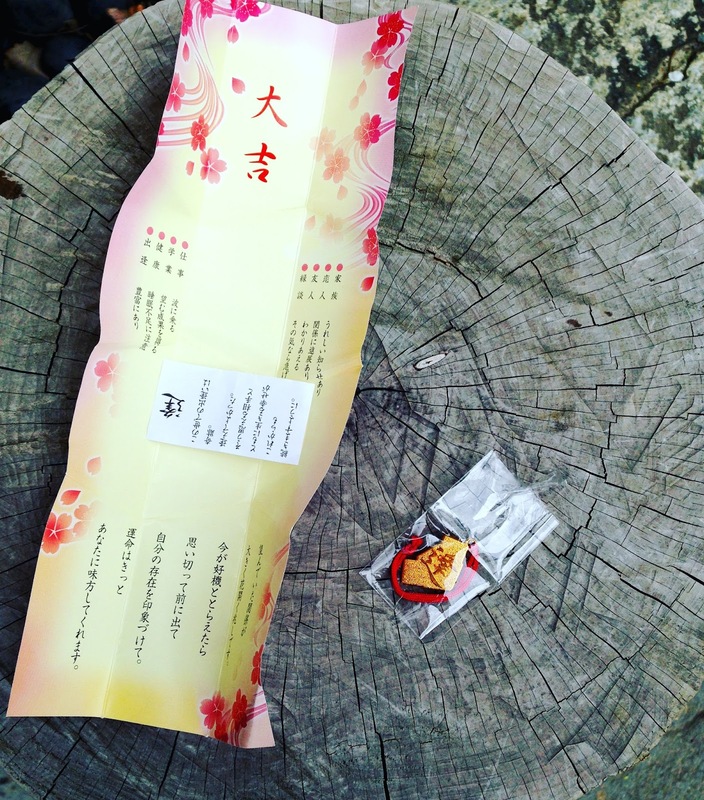 There was lots of pretty origami at the shrine which particularly took my fancy. We finished the walk and found ourselves at the Great Buddha, what Kamakura is known for. 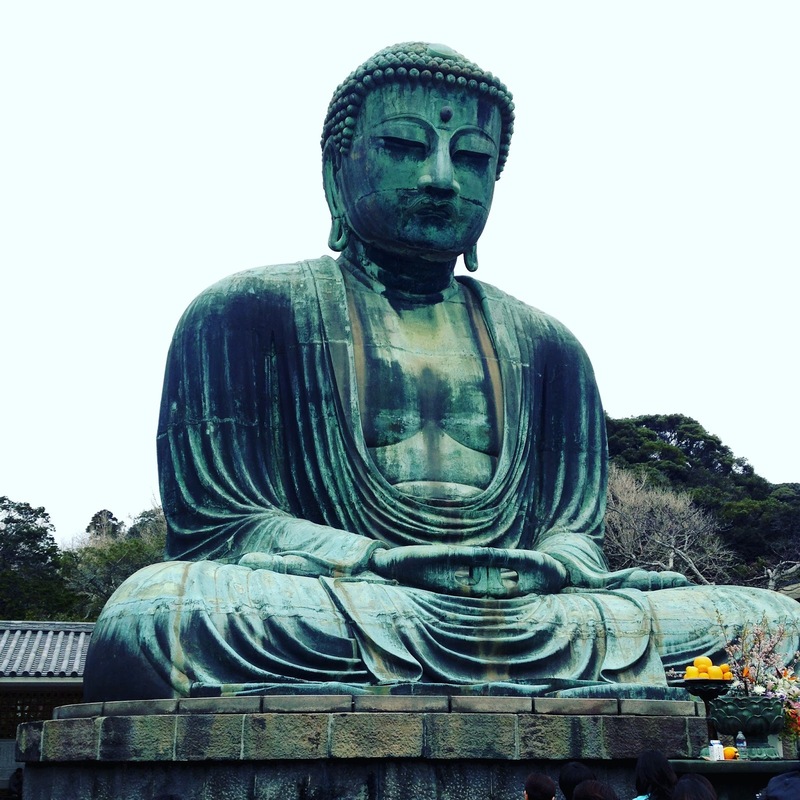 This huge bronze buddha is the second largest in Japan and it is certainly impressive. For 20Y you can even enter him! I particularly liked his giant sandals they had placed by the side of him, I assume for if he ever wanted to go for a wander. By this time we had worked up quite the appetite so walked down the street to grab something. 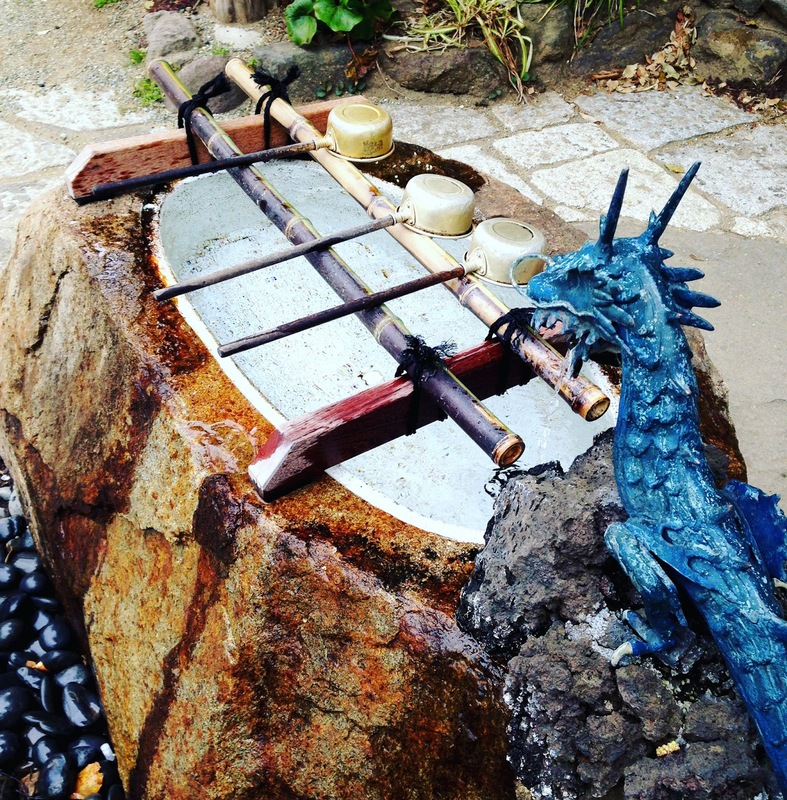 There were lots of nice shops in Kamakura, they were quite traditional. There was a big sword shop which was very busy and of course the boys couldn’t resist a look. We eventually stopped at a place called Marions Crepes for lunch. It was actually one of our most expensive meals of the whole holiday because we were so famished I think we finished off about half the menu! We had a selection of sweet and savoury crepes. My sweet crepe had cheesecake in! Afterwards we had a wander back along the shops and Adam treated me to an adorable purse. Japan is certainly the place to buy handbags and purses, they are just so lovely. 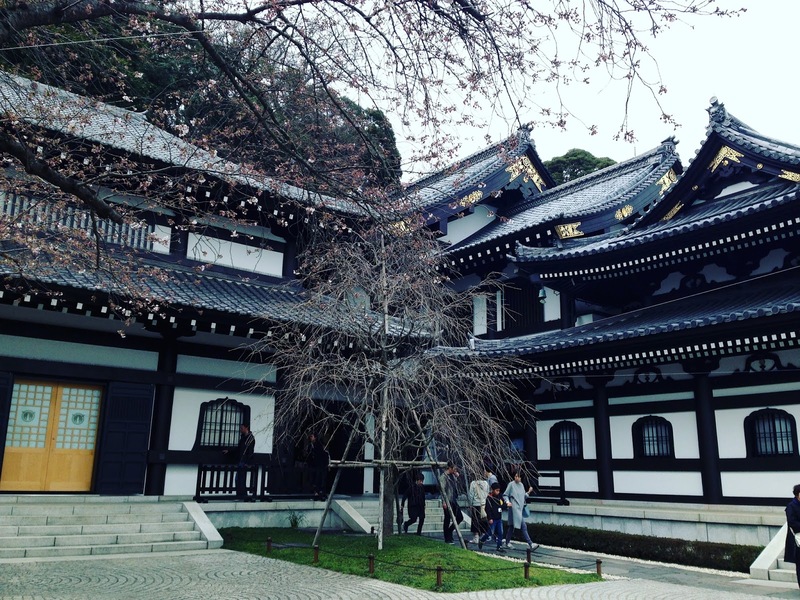 We continued onto Hasedera temple, which is most known for its statue of Kannon, the goddess of Mercy, which has 11 heads. 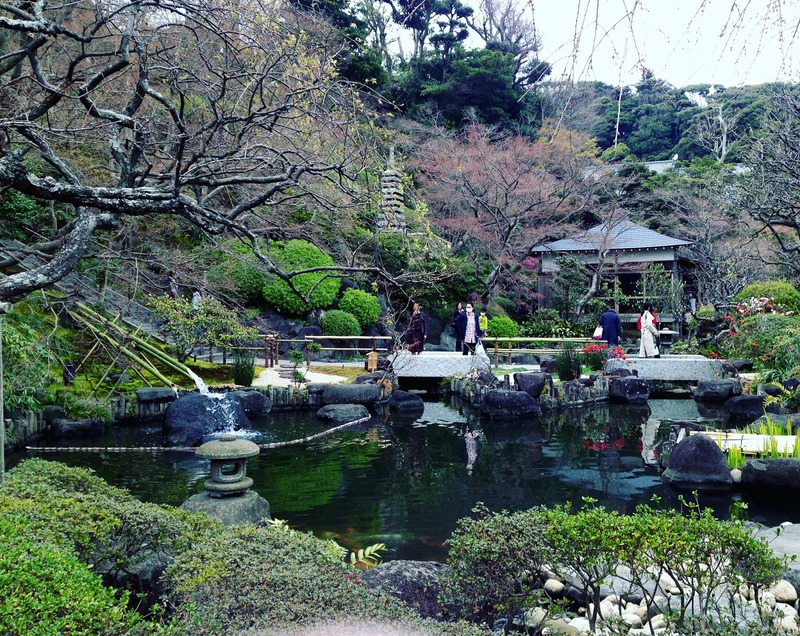 This was one of my favourite temples because it had a really beautiful garden and it also allowed for some amazing views over Kamakura. 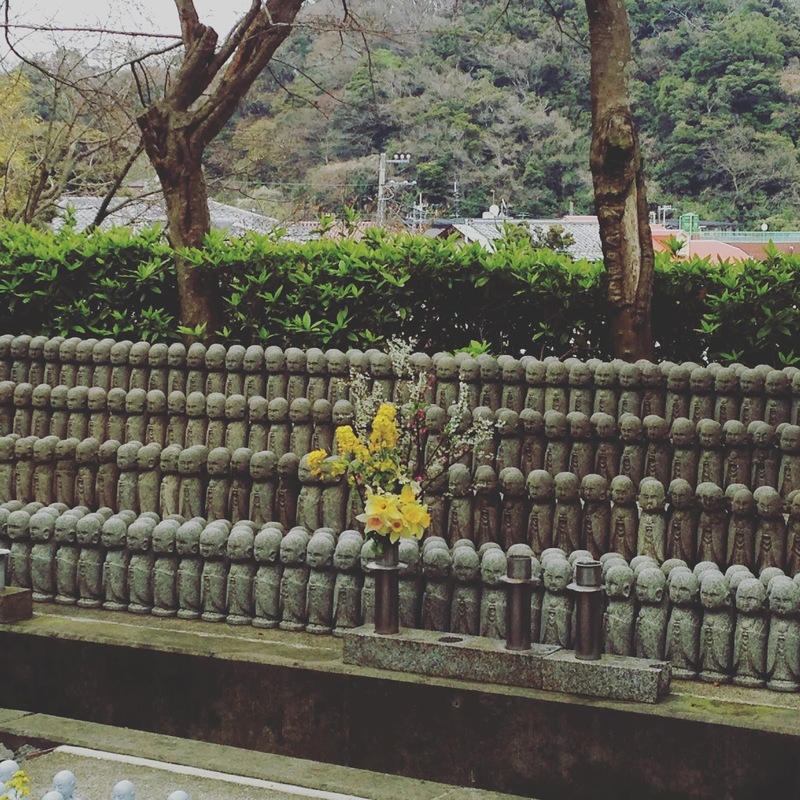 Around the gardens were hundreds of tiny statues of Jizo Bodhisattva, who protects the souls of dead children. I know that sounds quite morbid but it was quite beautiful. We did venture briefly into the central Kamakura area and walk down their main street which was very quaint and we spent a while looking around an old bookshop which was interesting. We then caught the train over to Yokohama. 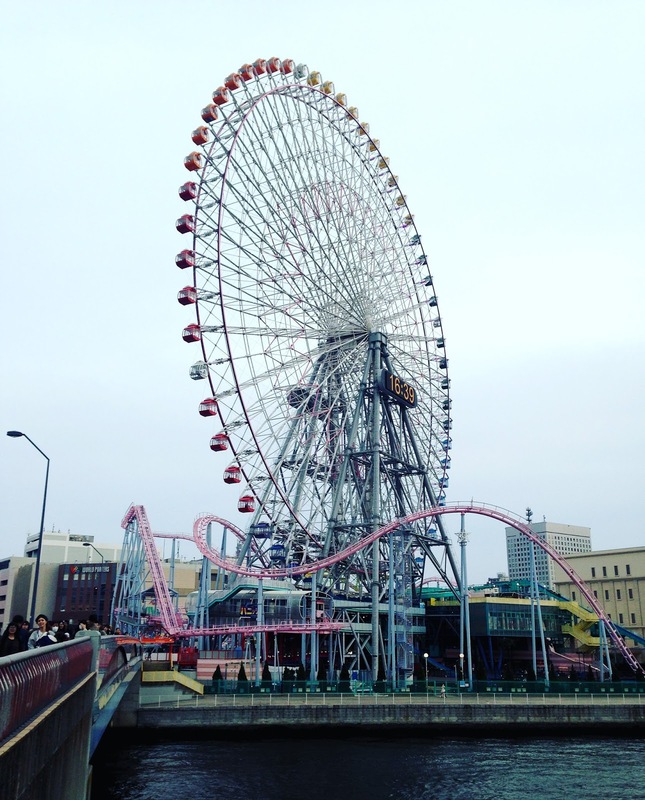 Yokohama is a large Japanese city but it doesn’t really have the largest amount of things to do. 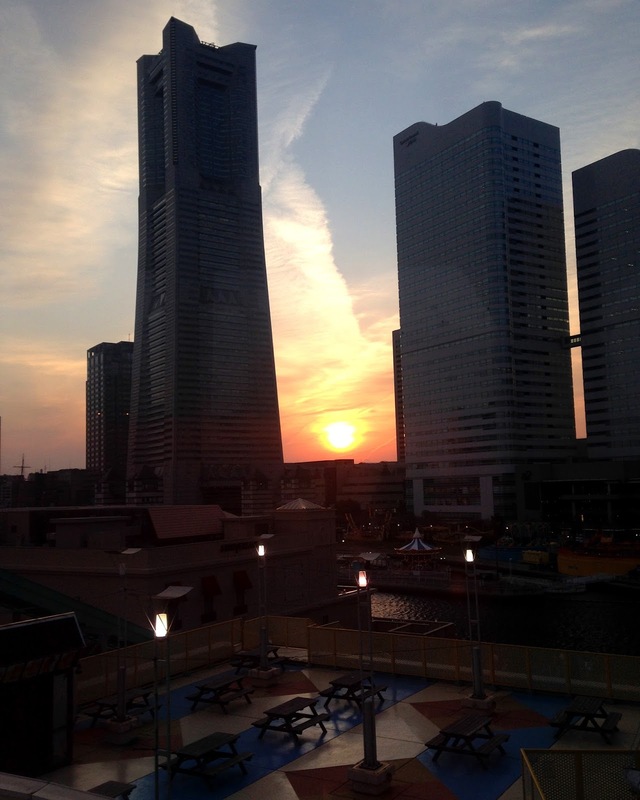 From the main station we got the a train to Minato Mirai, which is the seaside urban area of the city. There were a large amount of skyscrapers and everything looked very modern. We headed for Cosmoworld, an amusement park. 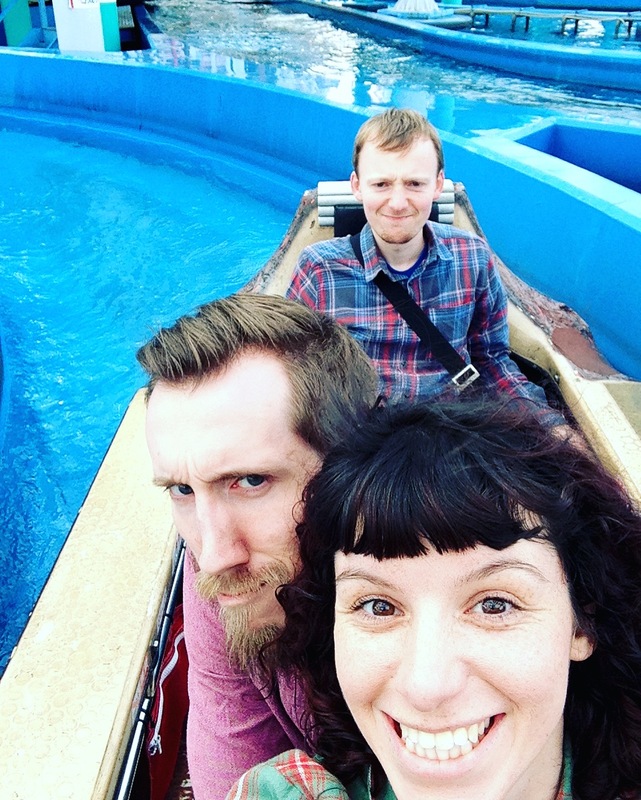 We had a few hours of fun on some amusement rides, ventured onto the log flume and watched the beautiful sunset on the ferris wheel. 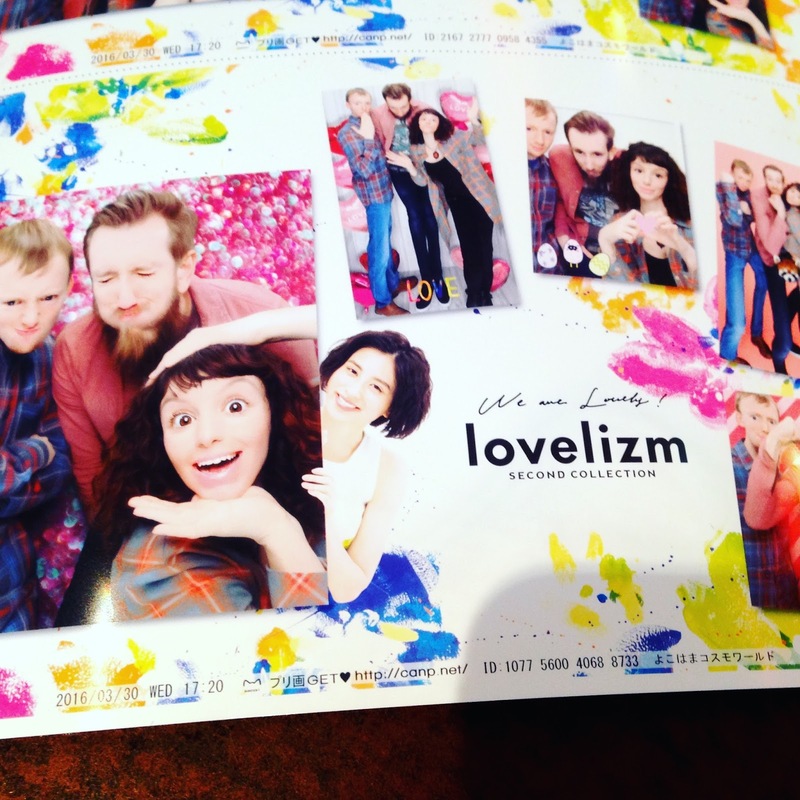 We also had another go with one of my favourite ever Japanese things, their wonderful photobooths! 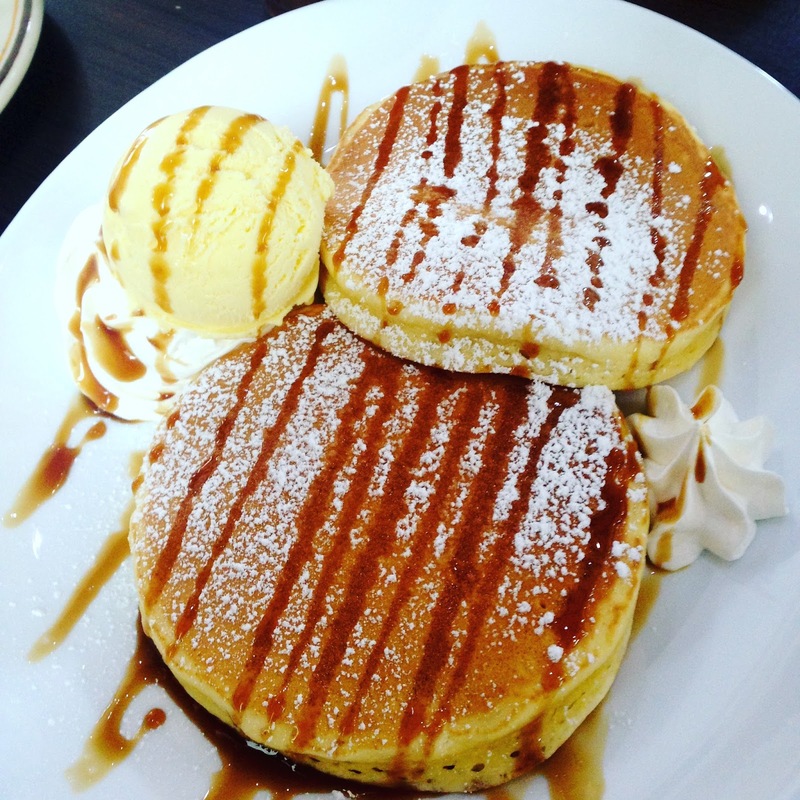 Before heading back to Tokyo we found an American diner which overlooked the wheel. 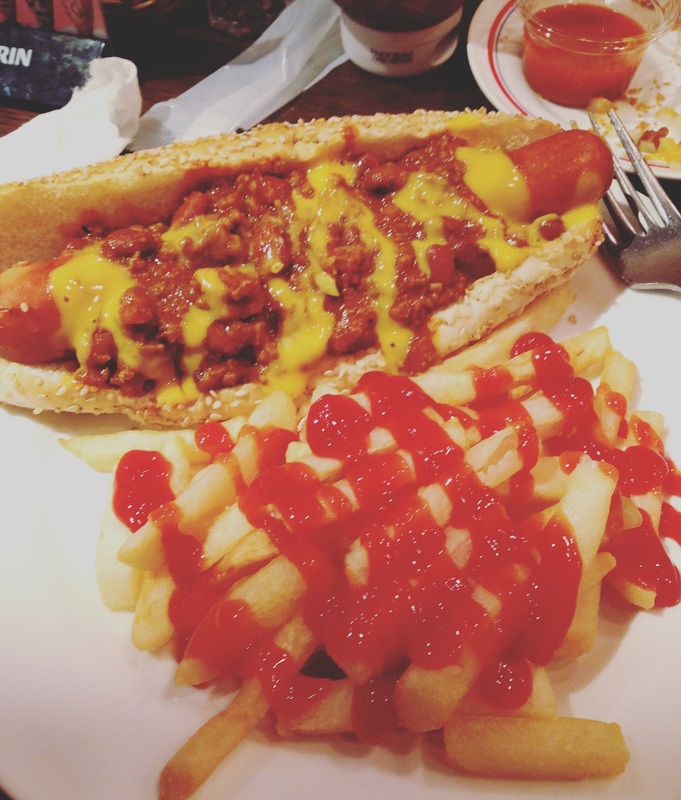 I had a loaded hotdog which was really nice and then we headed back to Tokyo, absolutely exhausted but so content!